1. Shop Henly | This deep cranberry wrap dress is to. die. for. 2. eShakti | Dark floral is perfect for Christmas but still works all fall and winter long. 3. ASOS | I can't pull off kimono style dresses despite MULTIPLE attempts but gaaah I adore the silhouette and this color. I ordered this one from SheIn to try. My expectations are reeeeal low but the reviews are good and the price was right so why not. I will likely report back on my IG story. 4. eShakti | Apparently statement sleeves are like A Thing right now. Mostly I'm meh about that idea but these bell sleeves caught my fancy. I love that they're on a shift, which is theee best style for hiding the food baby we're all carrying around this time of year. 5. ASOS | tbh I love tuxedo anything. I'd 100% wear this dress with its structured top and drapey bottom and perfect satin lapels and I'd look dang good doing it. 6. SheIn | For people who are like I AM NOT ASHAMED OF MY FOODBABY. But seriously, I love the clean, classic shape and tall lace at the hem. A classy dress for classy broads who like paying only $15 for their holiday wear. 7. eShakti | It's like DRAMA but in PLAID, you know? Also, if you haven't bought from eShakti before you may not know that you can add sleeves, change a hem or neckline, etc. I have no fewer than TEN of their dresses in my closet. The quality is fantastic, the fit is excellent, I am a super fan. They are not paying me to say any of that- legit unsponsored raving. 8. Shop Henly | Basically pajamas and I am here for it. 9. J Crew Factory | A woman from our church wore a super similar dress last week and paired it with a cream colored tasseled scarf and sparkly jewelry I probably scared her with how quickly I grabbed her arm like WHERE DID YOU GET EVERYTHING YOU ARE WEARING. Her dress was old from Anthro but totally doable from other, less pricey sources. 10. 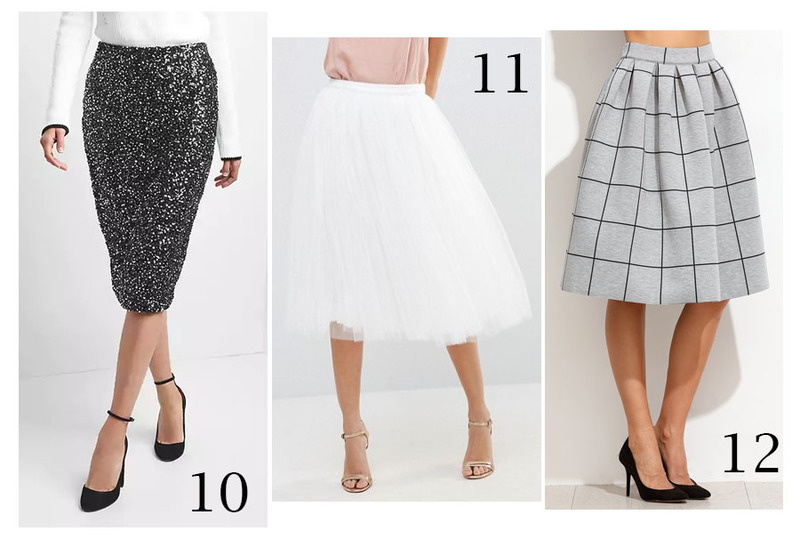 Gap | My thoughts on sequin skirts: I got one on clearance a few years back because I couldn't bring myself to pay full price for something that I would only wear a few times a year. But I gotta tell ya- I LOVED pulling that skirt out around Christmas and NYE. If you fancy a sequin skirt, my dear, you should get a sequin skirt. 12. SheIn | I've come back to look at this skirt a handful of times. I love the windowpane print. The fuller shape makes it a bit fancier. It'd be perfect with a crisp button down, a glittery bracelet and some killer black heels. 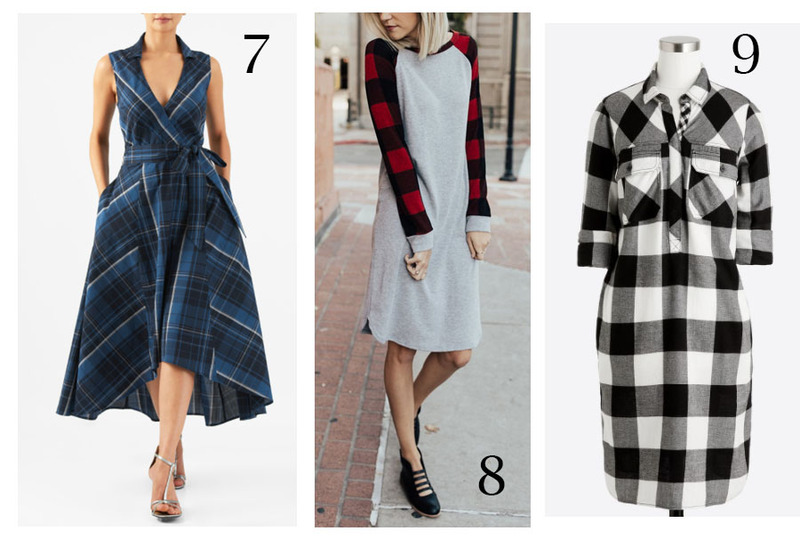 Honorable mentions because I forgot how much time it takes to put together images for posts like this and I want to go do something else: ModCloth has some really good plaid skirt choices this year. I don't love lace but I'm pretty into this textured number from Called to Surf. Amazon kept recommending this Gatsby-esque dress and the more I look at it the more I like it so there's a fancy option for ya. I think there are some pretty big gaps in the market though- very few good options in Christmas green or in a large scale classic red and black buffalo check, BOTH of which I am interested in (and was last year as well, to no avail). Get on it, clothing makers!! 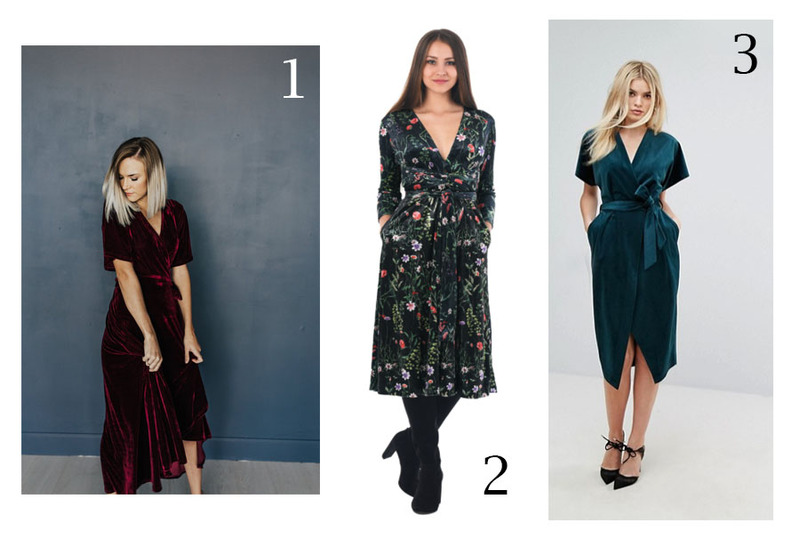 Are you getting a Christmas dress this year? Let's see it! Oh my goodness...I LOVE that Gatsby-esque dress. I already have a sequined dress for fancy Christmas parties so I can't really justify a second, especially one that fancy. BUT I LOVE IT. Love the Gatsby as well! Stunning! 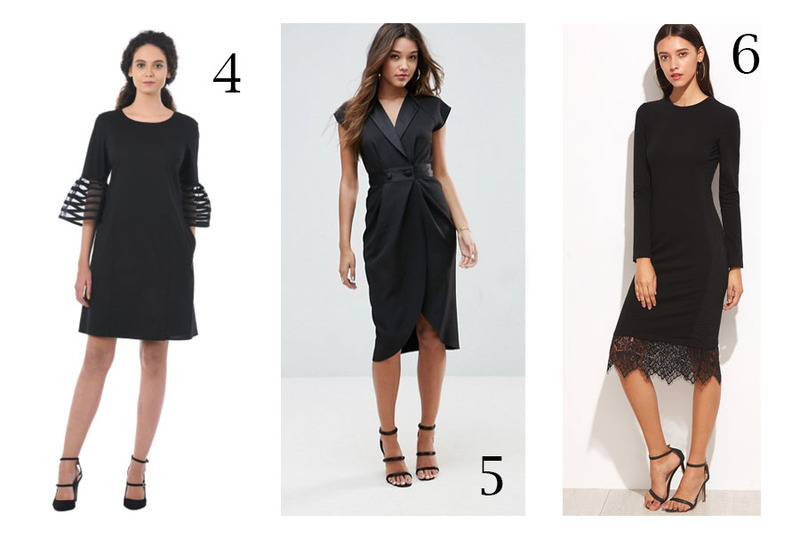 I’d wear #6 lbd (with Spanx of course). I really like #1 for you. Excited to see your similarly colored purchase! Dress 5, all the waaaaay. I love plaid, and I wish I had the panache to pull off a plaid dress at night, but...I haven't gotten there yet.